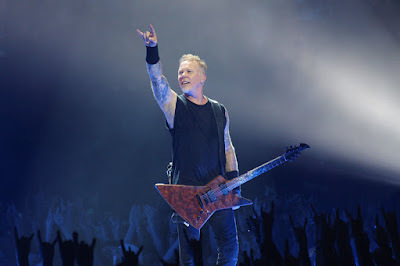 Metallica delivered the live debut of the of “Hardwired…To Self-Destruct” track, “ManUNkind”, at the AccorHotels Arena in Paris, France on September 10, and fan-filmed, multi-cam video of the performance is streaming online. The tune appeared early in the group’s set during their second of two nights at the venue as part of a recently-launched fall arena tour of Europe. Metallica’s extensive trek will wrap up with two dates in Antwerp, Belgium in early November before resuming with a spring 2018 leg that will open in Lisbon, Portugal on February 1. Following the fall run, the band will release a series of 30th anniversary reissues of their 1986 album classic, “Master Of Puppets”, on November 10.